The temperature is slowly rising, and things are also heating up over at V Magazine. For the glossy’s latest issue (no. 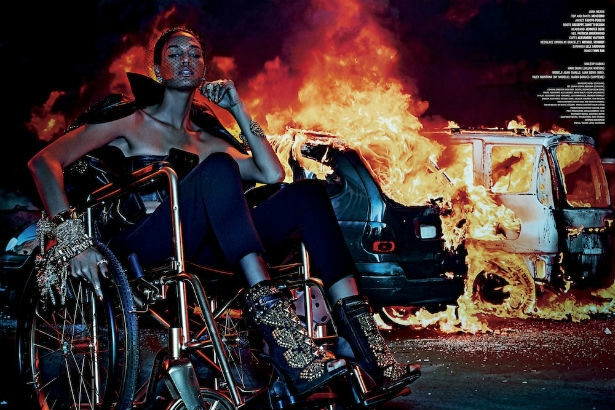 94), it tapped an all-black cast – something you don’t see every day – for a shoot with Steven Klein called “Fight Fire with Fire.” Models Joan Smalls, Riley Montana, Ajak Deng and Maria Borges pose like daredevils next to burning cars. The ferocious femmes, styled by Arianne Phillips, are decked out in designer duds from Tom Ford, Givenchy, Moschino and more. It is a definite must-see from the magazine, not to mention refreshing to see a cast of exclusively black models booked for something other than a tired safari or “tribal” spread. 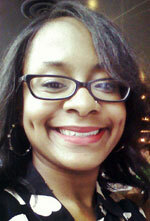 Check out the editorial in the slideshow below.